Here at Foundations®, we offer the only fully brushed stainless steel baby changing stations available on the market today. 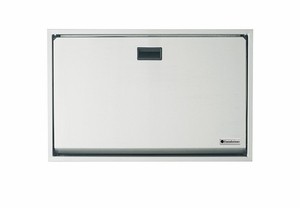 Our line of stainless steel baby changing stations is designed with durability and functionality in mind. 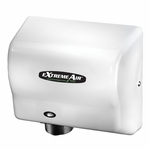 Fully equipped with a cushioned safety corner and pneumatic gas springs, our changing stations are a great addition to any high-end facility looking to enhance their public washroom. With a sleek and modern design that’s built to last, our stainless steel baby changing stations are guaranteed to last through even the highest traffic public washrooms.